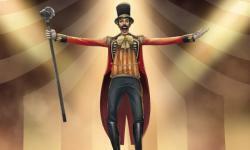 Stone Blade Entertainment and Ultra PRO will release Justin Gary’s new card game RingMaster: Welcome to the Big Top in April. Designed by Justin Gary (co-designer on Ascension and Shards of Infinity) and illustrated by Rod Mendez, players compete to build the most successful circus by gathering the biggest stars and dazzling attractions to attract the largest audience. There is also opportunity to sabotage opponent’s circuses with mischief and mayhem. The game comes with 34 tarot-sized premium cards a stylish carrying pouch and a rules sheet. The game is for 2 – 4 players, ages 13 and up, and plays in 10 minutes.